Welcome to the website of St Joseph’s Catholic Primary School, Como-Oyster Bay. We hope that it provides you with an insight into our wonderful educational community. Set in a tranquil bushland setting, St Joseph’s is is a two stream school and is part of the system of Sydney Catholic Schools, offering a Catholic education for students from Kindergarten to Year 6. Founded by the Presentation Sisters in 1953, the school is characterised by a positive, nurturing, learning environment that strives for excellence in all facets of education and fosters the confidence, self-worth and integrity of each child. Our school motto 'Love One Another' is central to all we do and is particularly evident in the respectful student-teacher and parent-teacher relationships. St Joseph’s Catholic Primary School is a dynamic, professional, contemporary learning community which values the partnership between the school, parish and home. Innovative technologies and contemporary pedagogy assist in encouraging students to further develop their knowledge and understanding and challenge their thinking. A major teaching and learning focus in our school has been the continued implementation of the Newman Selective Gifted Education Program for gifted students and students of high ability. 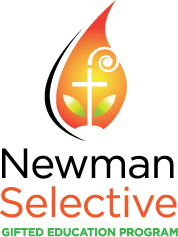 The Newman Selective Gifted Education Program is a key element of the Sydney Catholic Schools Archdiocesan Gifted Education Policy. This program supports gifted learners across all subjects and skill areas. Our Vision and Mission statement clearly identifies our commitment to our Catholic faith and to providing students with the best possible learning opportunities to empower them to make a difference in their world. As we travel this educational journey together, may we be an inspiration to each other. At St. Joseph's, each grade adopts a specific Nano Nagle value for the year and integrates shared understanding and practical application of this value developing catholic social justice teachings.